Gurugram-based micro-delivery grocery startup Milkbasket has raised $7 million (Rs 49 crore) in an extended Series A round led by US-based early- to growth-stage venture capital firm Mayfield Advisors. Existing investors Kalaari Capital, BeeNext, Unilever Ventures and Blume Ventures also participated in the round, Milkbasket said in a statement. The deal included a secondary component, it said, without giving any details. Mayfield accounted for almost $6 million of the latest infusion, according to regulatory filings made by Aaidea Solutions Pvt. Ltd, the company which operates Milkbasket. The latest fund infusion takes the company’s total Series A round to $14 million. In May, the startup had raised $7 million led by early-stage investment firm Kalaari Capital. 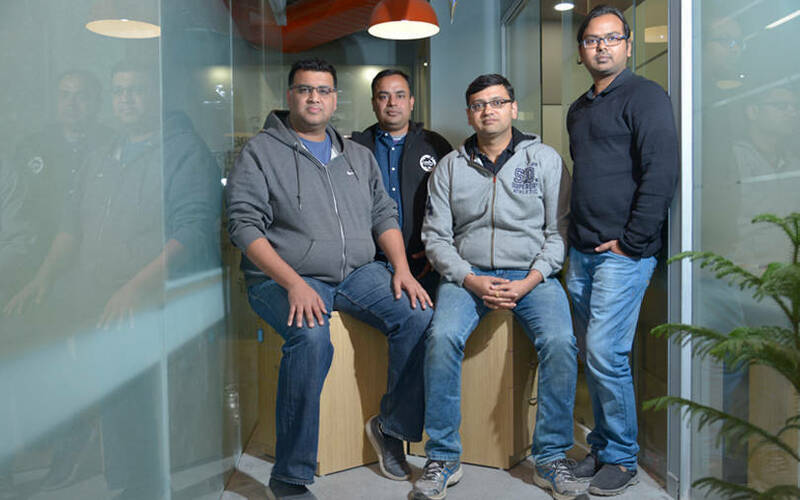 Anant Goel, co-founder and CEO of the startup, said the funds will be used for geographical expansion, ramping up the technology backbone and hiring. Nikhil Khattau, managing director at Mayfield India, said that the grocery delivery industry in India is “a specialist play”, and Milkbasket's expertise makes it confident about the company’s growth potential. The development comes a little more than a month after TechCircle reported that Milkbasket had raised Rs 10 crore ($1.4 million) in a funding tranche from Mayfield. This tranche is likely part of the $7 million announced now. Back-of-the-envelope estimates show Milkbasket was likely valued around $27-30 million (Rs 190 crore-Rs 210 crore) after the latest funding round. US-based Mayfield, which typically participates at the seed and Series A stages, has been investing in India since 2006, according to information available on its website. Its focus areas include consumer and business sectors across non-tech, tech-enabled and technology verticals. Its other Indian bets include the likes of Lendingkart, Licious, Box8, Emiza, Knowlarity, Triphobo and Amagi. The startup was founded in 2015 by Anant Goel, Ashish Goel, Anurag Jain and Yatish Talavadia. Unlike players like BigBasket, Grofers , Amazon and Flipkart--the bigger players in the online grocery delivery market--Milkbasket positions itself as the online version of local mom-and-pop grocery stores, only with more stock keeping units. The likes of BigBasket and Grofers lean towards fulfilling a household's ‘stock-up’ needs for products that are usually bought at lesser frequencies and from bigger format stores. Milkbasket caters to a household's top-up fulfillment needs. It supplies products that are bought in smaller quantities but with higher frequency and from the local retail stores. It leans more towards perishable goods, but also has a lot of non-perishable items. The company started off by delivering milk, bread and eggs. It has since expanded its business to a whole range of daily groceries. It claims it has more than 5,000 stock-keeping units and that it gets 11,000 orders a day. The company recently entered Noida, its website shows. In a recent interaction with Techcircle, CEO Goel had said that Milkbasket aimed to expand to the top 10 cities over the next two years as part of its expansion plan. For 2016-17, Milkbasket’s operational revenue jumped to Rs 10.46 crore from Rs 12.45 lakh the previous year, according to VCCEdge, the data and research platform of VCCircle. Gross expenditures rose to Rs 14.52 crore from Rs 58.10 lakh. Consequently, losses widened to Rs 4.05 crore from Rs 45.65 lakh. The online grocery landscape is characterised by the presence of large players like Amazon, Flipkart, BigBasket and Grofers. Besides, there are players like Milkbasket and Doodhwala, which have strong operations in selective markets. Last month, Techcircle reported that Doodhwala, which delivers milk and daily essentials on a subscription basis, was in talks to raise up to $12 million in a Series A round of funding. In October, The Economic Times reported that Grofers was in talks to raise around $150 million- $200 million from existing investors Softbank, Tiger Global, Russian billionaire Yuri Milner and Sequoia Capital. Also in October, BigBasket acquired subscription-based e-grocery startup RainCan to strengthen its micro-delivery operations. The same month, hyperlocal delivery startup DailyNinja acquired Hyderabad-based WakeupBasket in a cash-and-equity deal.